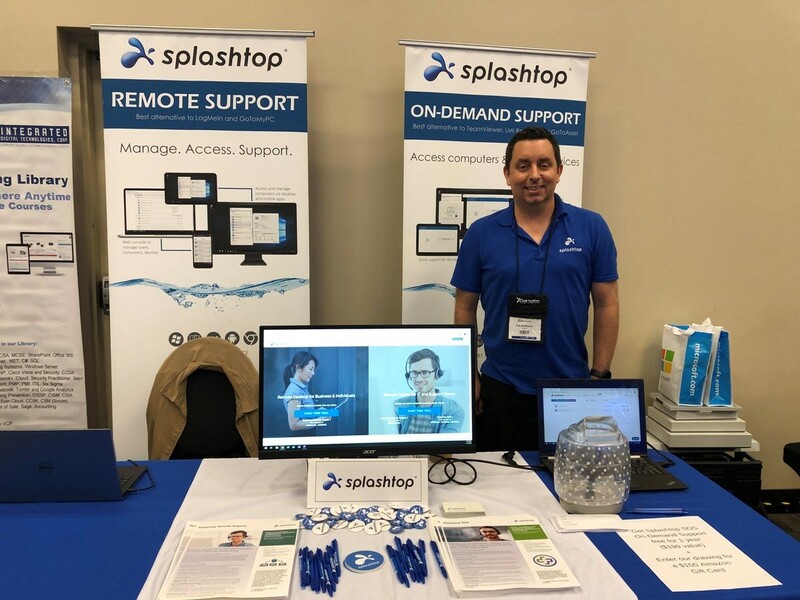 Splashtop at SMB TechFest - Splashtop Inc.
Splashtop recently sponsored SMB TechFest in Orange County California for the first time in Q1 2019. 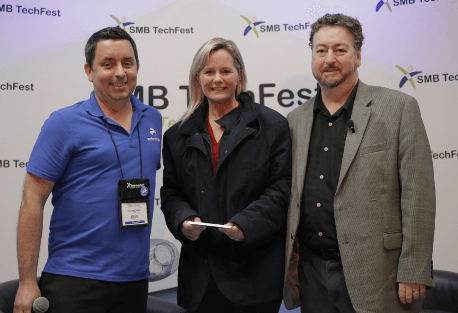 SMB TechFest is a quarterly event where MSPs, IT pros, consultants, sales and support provider owners get together to learn about the latest technology and best practices. We enjoyed the chance to have a little time on stage to introduce Splashtop and the benefits that our remote access solutions bring to MSPs and IT Pros. The crowd was also interested to hear Dave Seibert, the founder of SMB TechFest, describe how the event itself has used Splashtop remote access for speakers at their events to remotely access computers for presentations. 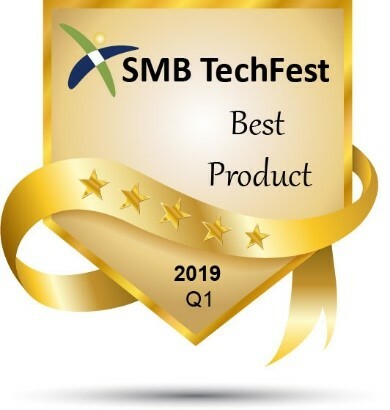 We were also very excited that Splashtop was selected SMB TechFest Best Product by the event attendees. It’s the nature of the business today that IT service providers can’t be on-site at every customer location. They can help end users much more efficiently by using a remote computer access solution. Some choose an RMM solution that includes remote access. Others don’t need a full RMM solution and look for a more cost- effective remote access solution. Splashtop fits in nicely in either situation. Our remote access technology powers remote access in RMM solutions like Datto RMM and Ninja. And our remote support solutions are also available as a great value standalone products. Maybe you have an RMM solution and it works great for you. But there will be times when you need to remote into a computer or device that isn’t currently managed under that system. In situations like that, an on-demand remote support solution is a great supplement to an existing RMM or unattended remote support solution. IT service providers use Splashtop SOS in multiple ways. You can use it to start an on-demand quick support session for someone on a computer that isn’t managed with a remote agent or streamer. You can use it to remote into a new computer for the first time (with the user present and a simple 9-digit session code) to install the streamer or agent for your unattended support solution. You can also use SOS to remotely view mobile device screens in real time and remote control some Android devices. That makes it a great add-on for other systems that only support remote computer access. MSPs are successful when they can generate revenue by offering a combination of services and software to their clients. Reselling remote access is a great way to increase the average revenue per customer. Splashtop makes it easy with Splashtop Remote Support. To resell remote access to your end users, you can buy a Remote Support license for 100 computers, for example. You can create accounts your technicians to access and support those 100 computers. You can also create accounts for the end users of those 100 computers to enable those users to access their own computers, and you can charge for that service. There is no extra cost to create the additional user accounts and the service can be resold at whatever price you choose. Your end users are happy because they can remote into their computers and your company can make great margins reselling remote access. Learn more about reselling remote access.